Hey You – I totally get how you’re feeling. You’re feeling sluggish, low energy, not sleeping well and having more digestive issues than usual. You’re dragging yourself around during the day feeling tired and mentally unclear. Do you feel like you need to shake off winter or you’ve overindulged or been too stressed that your digestive system feels really off? You feel like you need a life RESET! Reset your digestion, energy, mind, and vibrancy. There are a lot of cleanses out there. Which one to choose? The one I love to do personally and with clients consists of nourishing raw organic vegan juices, smoothies and elixirs. It is strategic, cleansing and focuses on removing toxins, nourishing the body and eliminating what is making you feel sluggish, tried and foggy. How do you know it’s for you? Keep reading and see if it resonates (your body will tell you!). …I was fortunate enough to be introduced to Michelle’s three-day cleanse. I was excited to try this cleanse in order to reset my body and further explore ways to improve my diet. Within the first day of the cleanse, I automatically felt lighter, but still had high energy levels – so much that I did an intense yoga class where I felt stronger and more flexible! After the cleanse, I felt re-energized and found that I had lost some weight (a nice bonus!). The main thing I learned from the cleanse was how to mindfully intake food – slowly chewing and swishing around smoothies/juices in the mouth rather than gulping them down as I used to. I also started incorporating some of my favorite smoothie/juicing recipes that I was introduced to during the cleanse into my daily eating routine. 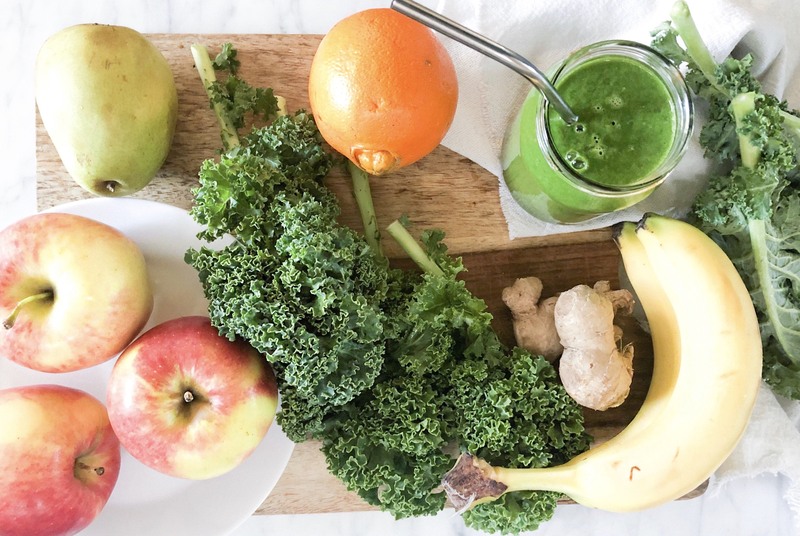 I think it’s a great idea to give the body a rest from solid foods every once in a while to reset it and detoxify it, so I will definitely be adding this cleanse routine to my life routine! When we are stressed the digestive tract is the first place that shuts down. Our nervous system switches from ‘rest and digest’ mode to ‘fight or flight’ mode. This can create digestive issues in the system such as bloating, gas, and constipation to name a few. The minute you become stressed your digestive tract goes haywire. This can happen with the change of season, having more additional life stress or chronic stress. Details of the cleanse: pdf of 3 days of specific recipes + schedule, pdf shopping list of exactly what to buy and how much, before and after cleanse meal guidelines + recipes, detailed videos on the specifics of the cleanse. I obtained my certificate in the Living Foods Lifestyle at the Ann Wigmore Institute in Puerto Rico which focuses on detoxification using living foods. My experience there combined with my studies in Holistic Nutrition + a degree in Biological Chemistry has allowed me to create this cleanse that resets the digestive system in a few days. 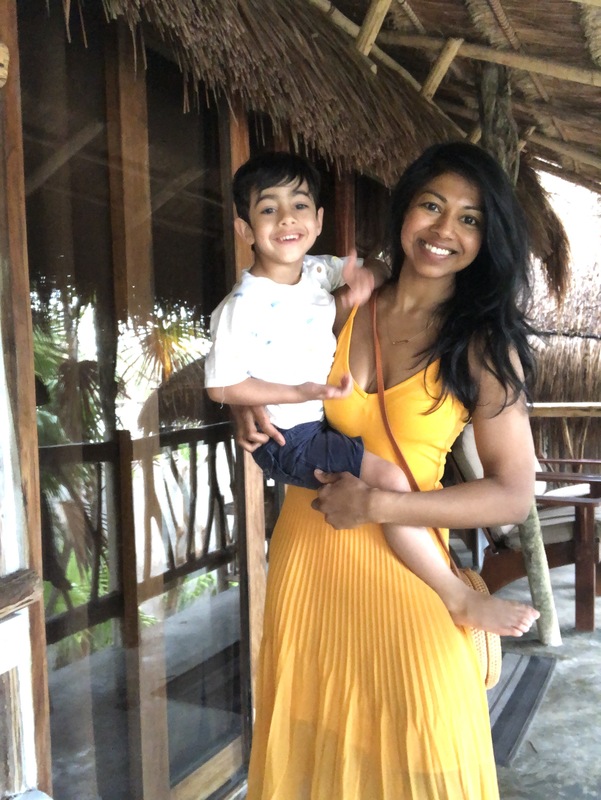 I combine my solid grasp of biological chemistry and my background as a certified teacher with my passion for food and nutrition to guide clients in developing an understanding of the importance of detoxification as the foundation of a healthy and happy lifestyle. I have also done this cleanse personally for many years tweaking it and seeing the amazing results! Yes, take me to the cleanse! The benefits of doing a cleanse. We normally put about 50-80% of our energy into digestion. That’s a lot. During the cleanse we reduce this significantly as the juices and smoothies are easily digestible. This gives the digestive track a break and it can rebuild and restore. This will mean more efficient digestion once we begin to eat normally again. Benefit #2 Deeply nourishing the body. We are consuming really nutrient dense raw juices and smoothies . We allow that food to be absorbed and assimilated into the system easily. When foods are blended or juiced digestion is minimal and the absorption can happen much more easily. Juices and smoothies contain living water that can hydrate the body deeply as well. We are nourishing the body with alkalinizing juices and smootheis. This will kick up toxicity from the cells and dump it into the digestive tract. We need to make sure we are clearing these waste out or it will reabsorb and recirculate. We need to effectively eliminate. This is why on certain cleanses we can experience detox symptoms. For example with just a juice cleanse that doesn’t address bowel release. With this cleanse we look at elimination and support it in a few ways either through supplements, enemas or colonics. The colon is where all waste goes so it needs to be supported especially if you are not regular or are typically constipated. Benefit #4 Lightness in the Body. Benefit #5 The mind-gut connection. When we are working on our digestive track we are working on our mind. For instance the gut produces 95% of serotonin. If our digestive system is off, our microflora is not balanced and we will not feel clear in our minds and will be foggy. As we let go of waste we create a flow in our digestive track and thus in our minds. This helps us to move forward in our life with clarity. You will emotionally detox. Emotions are bio-molecules and can be released during a cleanse as waste matter. This will create more mental clarity and ease in the gut. What if I’m already healthy? The western definition of health is the absence of disease. BUT there is a lot of in between that and true health. If you have eaten unhealthy for most of your life you will have stored toxicity and need time to clear it out. A cleanse really helps with this process. We are also inundated with more and more chemicals each year; from the air, to the products we use and what is used on our food. Years ago I was ‘healthy’ but as I’ve continued on this path my health improves. I have a better understanding of my body now than when I thought I was ‘healthy’. I may have looked it but I wasn’t truly healthy on the inside. What will this program teach me? This course will give you all the tools you need to do the cleanse again and again. You will have the recipes, in depth videos and trainings to do this whenever you need a reset. Over time you will get to know your body more and more as you repeat the process. Cleansing is not about deprivation but rather a self care practice. Our bodies are constantly working to digest food and keep us functioning. If we don’t give it a break we can overtax our system. Cleansing is an amazing way to reset your digestion, health and beauty! The better our digestion, the less energy the body will spend on digesting food and can put that energy into rebuilding our health. With a surplus of energy we can start to create beauty from the inside out which results in better functioning of our system, more energy, healthy skin and shiny hair! 1. Guidance – this is invaluable if you are new to cleanses. Cleanses can make you feel a variety of symptoms and if you are concerned it is always good to have support to guide you. 2. This program allows you to have the take-away tools for life to do the cleanse again. You make the recipes yourself, infuse it with your energy thereby showing yourself LOVE & CARE. My goal is to give your digestive organs, body and mind a break so that it can regenerate and heal itself. You will leave the cleanse feeling ‘lighter’ in your body, more clear headed and more energetic. Cleanses are a way to get back on track and to move forward with more healthy positive nutrition and lifestyle changes. This is not a crash diet or a way to lose weight although you may find yourself doing so. The live dates for the cleanse are Friday April 26 – Sunday April 28, 2019. All recipes are raw, vegan, gluten-free, organic so that your body obtains to most bio-available nutrition. A high-speed blender is necessary as there are a lot of smoothies to make! A juicer is also recommended to make the juices. If you don’t have a juicer you can blend then strain the juices. You can also invest in a cheaper juicer (under $100). This allows you to have professional guidance by asking questions that come up and to make sure you are feeling your best throughout the cleanse. Through email your questions are private. If questions come up that are relevant to everyone on the cleanse I will post the questions anonymously so WE all benefit!